I’ve admittedly been a bit of an indie game snob for quite some time; with few exceptions, I never imagined a small group of developers could create something nearly as good as some of the bigger gaming companies in the industry. It is very good to be wrong sometimes. My opinion on indie titles was already beginning to change about a year before joining Operation Rainfall, but since I’ve been here I’ve gotten the opportunity to play a good handful of indie titles I probably wouldn’t have otherwise. 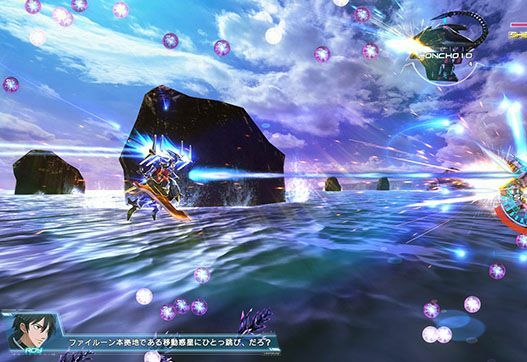 This brings me to Astebreed, a bullet hell like none I’ve ever played, and an indie title I feel stands up to similar AAA games on the market. The presentation is very good, with both graphics and sound being rather impressive. The graphics are rendered completely in 3D, and are crisp and clean to look at, with no frame rate issues, even on my rather low-end PC. Once in a while, it does become a bit difficult to tell what’s going on because of how much is happening on screen, but it’s pretty common of the genre as a whole, and not a problem exclusive to this game. The game’s sound effects are all serviceable, and the soundtrack is adrenaline-inducing, focusing on electric guitar and synth. It all comes together well to really capture the futurustic and intense feel the game was going for. The biggest problem with the story is how it’s told. Most of the story is spoken during gameplay, but, because all of the voices are in Japanese, unless you are a native speaker, you will most likely struggle to understand what’s going on. All of the dialogue is subtitled on the bottom-left side of the screen, but reading through all of that text while dodging the hundreds of bullets is near impossible. Really this flaw was unavoidable without the game being re-dubbed, which likely would have ruined some of the game’s charm. Astebreed does allow you to look over story details in much more detail after you unlock them by beating the game, so it does what it can to make up for this weakness. 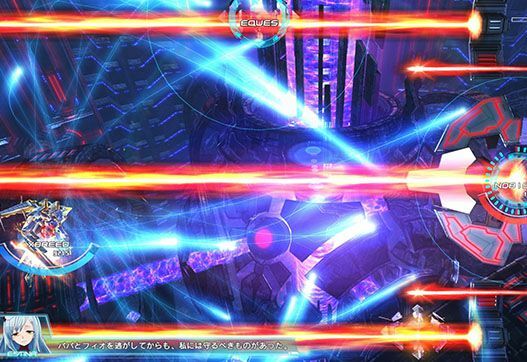 The gameplay has enough tweaks to the formula that it can stand out amongst the sea of other bullet hells. For starters, the game often switches perspectives mid-level, you won’t just be playing a top-down shooter, but also a horizontal shooter as well as a from behind rail shooter style at other times. This change in perspective keeps things feeling fresh, and shows off all of the graphical detail the game provides. There are even more changes when it comes to controlling your mech. You have a standard gun to rapid fire with, and, if you hold the button down, you are able to lock-on and fire off several missiles at a time. The game also gives you a close range attack in the form of a sword that can deal a large amount of damage, and can also be used to deflect certain kinds of bullets. 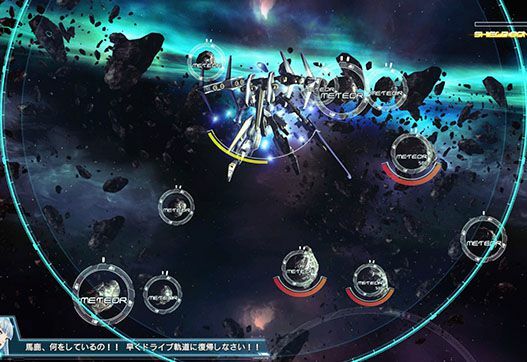 There really are a lot more subtle details to the gameplay than it appears on the surface, such as short dashes of invincibility, a regenerating shield which has its efficiency depend on your score multiplier, and the ability to aim your guns in multiple directions besides just straight ahead. It can be a lot to take in at first, but, luckily, the game provides you with a tutorial that I highly encourage you to try before you start up the main story. Sometimes I like to shift perspectives while playing my bullet hells. Though the levels themselves are certainly a challenge, the boss fights truly test your skills, often requiring you to dodge instead of soaking up damage with your shields. You will have to master all of the subtle abilities the game offers to be successful, especially in the harder difficulties. Even when dying repeatedly on certain bosses in the game, I never felt cheated. I always felt like failure was my fault, and the fact that you have infinite continues really makes this more bearable, especially for genre newcomers. 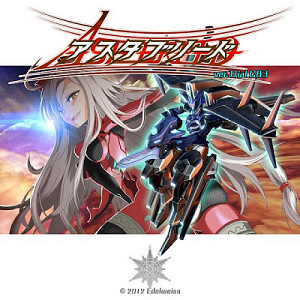 Even if you are new to bullet hells, I’d recommend Astebreed as a good starting place. It has several difficulties, and, overall, I found it slightly easier than most other bullet hells I’ve played (but, trust me, the challenge is still there). After a few minutes with the game, you will have a good grasp of how perfectly precise controls are, but, be warned, the constant button mashing required will likely make your hand cramp a few times. If you complete the Story Mode, you are rewarded with many unlockables, from concept art to more in-depth plot and character details. Every time you beat a difficulty, you also receive access to a more powerful mech that you can play the game over with. Bosses can get pretty crazy, but defeating one leaves you feeling accomplished. Everything about this game was enjoyable to me; from the beautiful graphics and music to the blood pumping gameplay, but like most bullet hells, the game is VERY short. The question in my mind is not whether or not the game is good (because it’s amazing), but whether or not the half an hour game length is worth the asking cost of $20. I, admittedly, am a bit of a bargain hunter and do look for value as well as fun when I’m shopping for games, so $20 is kind of a stretch for me, but I think fans of the genre should definitely give this game a look if they are itching for something new.